The minor league rosters are (nearly) set, which makes it about time to talk about the 2012 outlook for each of the Rays full season affiliations. Therefore, I've graded each roster part (rotation, bullpen, catching, infield, outfield) on a scale from A (best) to F (worst). Second in-line are the Montgomery Biscuits (check our depth chart for the current roster). Feel free to share your thoughts about the outlook in the comment section. Alex Colome is the big name here in the rotation. It will be interesting to see whether he can take the next step in his development (offspeed pitches). Joseph Cruz is coming off an injury plagued season while showing solid results and stuff in years past. Kyle Lobstein has transformed into a nice pitchability guy. We'll see whether he'll hit the AA-wall. Jacob Thompson, Merrill Kelly and Alex Koronis seem to be better suited for the pen. Nevertheless, I think at least Thompson will be tried out in the rotation at the beginning of the season. Shane Dyer and Frank de los Santos are a bit older and could be slated into the end of the Bulls rotation as well. Overall, I don't see this rotation dominating the Southern League in 2012. Come midseason, though, help could be on its way to Montgomery (especially Albert Suarez and Wilking Rodriguez)." That's what I wrote back in December about Montgomery's rotation, and it still looks pretty accurate to me. I am glad to see Merrill Kelly and Alex Koronis back in the pen as I can picture an MLB future as a reliever for both. Nevertheless, Kirby Yates and Scott Shuman seem to be the best relievers in Montgomery and they, together with Kelly, Koronis and also Neil Schenk, form a solid core for high-leverage situations. Overall, the pen is filled with experienced guys who should perform well at this level. 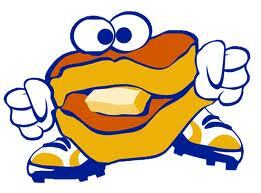 Mark Thomas is one of the most intriguing prospects of the Biscuits' 2012 roster. He made great strides defensively and he has exceptional power for a catcher. If his hit-tool improves, he could climb up on the catching depth chart real fast. Craig Albernaz and David Wendt are excellent team players with limited upside. They seem to share the back-up catching duties. Hak-Yu Lee and Tyler Bortnick could very well be one of the best middle-infields in AA after dominating the Florida State League in '11. Cole Figueroa, Henry Wrigley and Gregory Sexton have experience in AA and should be critical contributors to this year's club. These five together combine skill and experience in order to lead this club in 2012. I could have seen everyone of Kyeong Kang, Isaias Velasquez and Emeel Salem start the season in Durham. These three, however, form the starting outfield for the Montgomery Biscuits until Brett Nommensen comes back from injury. Velasquez and Salem bring defensive prowess and speed to the table while Kang's balanced mix of skills and tools should once again play very well in AA. The Biscuits were mediocre over the last 4 years and I don't see that changing in 2012. With solid average hitting and a tad below average pitching they seem to finish, once again, in the middle of the bunch. With big years from the likes of Enny Romero, Wilking Rodriguez, Albert Suarez, Mikie Mahtook, Ty Morrison, Derek Dietrich, ... , by mid-season, help could be on the way. Just curious on how you come to determine the grades. It's highly subjective. C/C- is about league average and I then go from there. Have any teams picked up the speedy, base-stealing, good hitter OF Chris Murrill and/or IF/OF Anthony Scelfo yet? I had projected them to go to Montgomery, but Tampa Bay let them both go the day before Spring Training ended. Have any other TB releases been picked up by any other teams? Lucas Irvine signed in indy ball, see the tweet. Other than that I have not seen any.